The Supreme Court has held that, whenever there is a situation of oligopsony, parallel pricing simplicitor would not lead to the conclusion that there was a concerted practice. 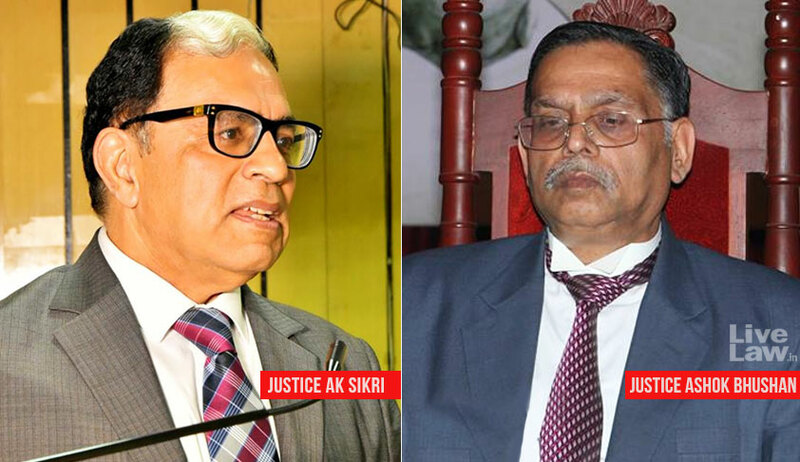 Setting aside the Competition Commission of India orders against LPG cylinder suppliers, the bench comprising Justice AK Sikri and Justice Ashok Bhushan observed that, in such a scenario, there has to be other credible and corroborative evidence to show that in an oligopoly, a reduction in price would swiftly attract the customers of the other two or three rivals, the effect upon whom would be so devastating that they would have to react by matching the cut. The Competition Commission of India had found that some suppliers of Liquefied Petroleum Gas (LPG) cylinders to the Indian Oil Corporation Ltd. (IOCL) had indulged in cartilisation, thereby influencing and rigging the prices, thus, violating the provisions of Section 3(3)(d) of the Competition Act, 2002. The Competition Appellate Tribunal though upheld these findings of CCI, but reduced the penalty. The suppliers, faced with adverse orders, approached the apex court. The CCI had come to the conclusion that it did suggest collusive bidding. It had analyzed the bids for each state and found that all 50 participating bidders had secured the order; that the orders were placed on the said 50 bidders who had quoted identical rates or near to identical rates in a particular pattern common to all the parties. There are only three buyers (IOCL, Bharat Petroleum Corporation Ltd. (BPCL) and Hindustan Petroleum Corporation Ltd. (HPCL)). If these three buyers do not purchase from any of the appellants, that particular appellant would not be in a position to sell those cylinders to any other entity as there are no other buyers. There are only three buyers, it may not attract many to enter the field and manufacture these cylinders. It is because of limited number of buyers and for some reason if they do not purchase, the manufacturer would be nowhere. That may deter the persons to enter the field. The manner in which the tenders are floated by IOCL and the rates at which these are awarded, are an indicator that it is the IOCL which calls the shots insofar as price control is concerned. It has come in evidence that the IOCL undertakes the exercise of having its internal estimates about the cost of these cylinders. It has also come on record that there are very few suppliers. For the 75 tenders in question, there were 50 parties already in the fray and 12 new entrants were admitted. Number of 12, in such a scenario, cannot be treated as less. Therefore, the conclusion of CCI that the appellants ensured that there should not be entry of new entrant may not be correct.